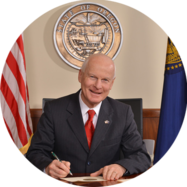 SALEM, OR — Today, Secretary of State Dennis Richardson announced the Oregon Audits Division has won its fourth consecutive impact award from the National Legislative Program Evaluation Society (NLPES). The performance audit entitled, “Oregon Housing and Community Services: Critical Improvements Needed to Help Ensure Preservation of Affordable Housing for Low-Income Oregonians,” received a 2018 Certificate of Impact. NLPES is a national organization associated with the National Conference of State Legislatures. The society supports legislative program evaluation and performance auditing with recognition for superior performance. The society’s Certificate of Impact is awarded to those organizations whose reports had a documented public policy impact within their respective states. The agency that was created to be the state leader on housing, Oregon Housing and Community Services, had fallen short on its efforts to preserve affordable housing. The agency needed to improve strategic planning and data management. The agency also needed to address cultural and organizational challenges, such as poor communication, inconsistent staffing, and inadequate policies and procedures. On the day the audit was released, a new director started at the agency, who used the audit recommendations as a blueprint to effect substantial, positive change. Audit findings and recommendations helped propel important legislation to preserve affordable housing in the state, including three significant bills that were passed in the 2017 legislative session: HB 2002, which expanded laws regarding preservation of affordable housing; HB 2852, that directly addressed the audit recommendation to expand the Oregon Affordable Housing Tax Credit Program by extending the sunset and increasing the credit by $8 million; and HB 5530, which increased funding for housing preservation efforts by $25 million in lottery bonds. The agency also received additional staff, which the director attributed directly to the impact of the audit. The Oregon Audits Division previously earned the NLPES Certificate of Impact in 2017 for its audit on public records; in 2016 for its audit on state debt collection; and in 2015 for its audit on the state’s adult GED program. Members of the audit team included: Sandra K. Hilton, Jamie Ralls, Rebecca Brinkley, and Danielle Moreau.